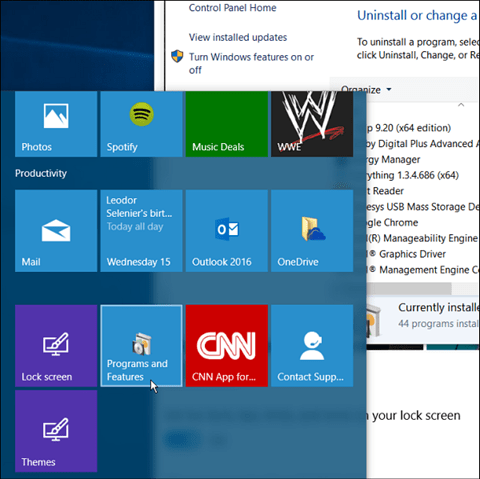 Windows 10 is full of new features and one is the ability to pin specific settings to Start menu. 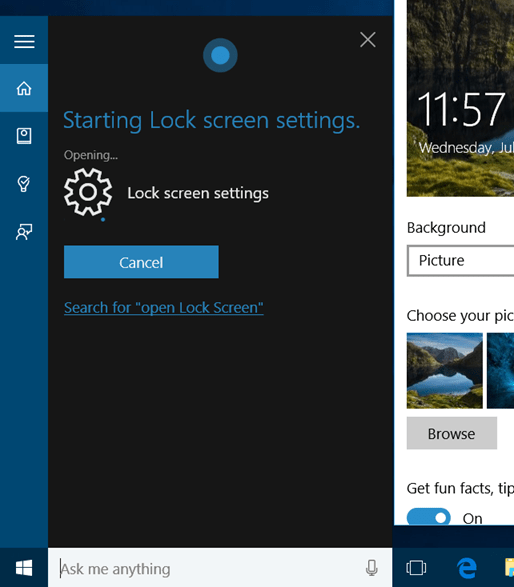 We’ll also show how Cortana can open specific settings. 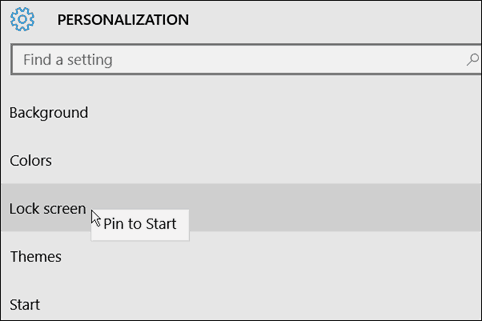 Windows 10 is full of new features and one of them is the ability to pin specific settingss to the new Start menu. This comes in handy if you frequently change the Lock screen, for example, and want easier access to it. Here’s how to do it, and as a bonus, I’ll show you how to tell Cortana to do it for you. While you’re getting acclimated to Windows 10 and tweaking it, you’ll find yourself in Settings a lot. 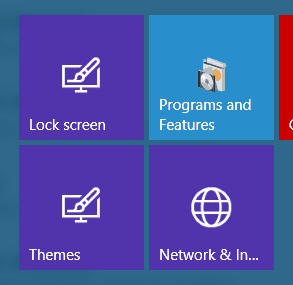 And there might be a specific setting that you use often, so you might want to pin it to the Start menu. To do that, open Settings to the section you need, in this example I am using Lock Screen, right-click > Pin to Start. Note: The classic Control Panel that you’re used to is still in Windows 10 too. You can also pin your frequently used features from there as well, using the same method…right-click > Pin to Start. In the example below, I pinned two settings — Lock screen and Themes. I also pinned Programs and Features from the traditional Control Panel. Selecting the Lock screen tile brings up that setting directly so I can quickly make adjustments. Or selecting the Programs and Features tile will bring that up so I can uninstall programs or turn Windows features on or off. It’s definitely worth noting that you can open most of the settings (and do a lot of other things) by using voice commands with Cortana. Just say: Hey Cortana. Open lock screen. And she will open it up just like if you were to use the pinned shortcut shown above. Hey. This is the new latest and greatest from Microsoft, so why not try out all of the new cool features? I find the more I get used to Cortana, the more I use voice commands…then again, I work from home…alone. 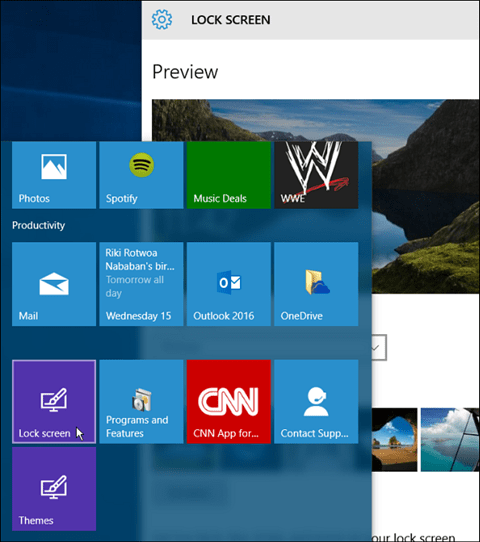 For more on the new OS, check out the archive of Windows 10 articles we’ve built up so far. Or, to ask specific questions, check out the free Windows 10 Forums.